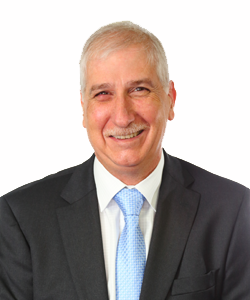 Ross has 35 years’ experience in accounting, commencing in the corporate sector, followed by 23 years as principal of his own practice and becoming a partner of UHY Sothertons Adelaide in 2008. His hands-on approach in the areas of accounting, tax and business consulting allows him to understand the struggles of a small firm and fully address his client’s needs. Ross has particular expertise in the medical and property sectors. His extensive business experience allows him to support clients and give them confidence in the decisions they make and in their strategic planning. He acts as a sounding board, providing support in the areas of management reporting, business structuring and succession planning where required. As well as his own experience, he is quick to utilise the national and international connections of UHY Sothertons Adelaide in the best interests of his clients. Ross is married with two children and three grandchildren. He has a passion for photography which he studies in his spare time. Property services including Land subdivision, retirement villages and building services.